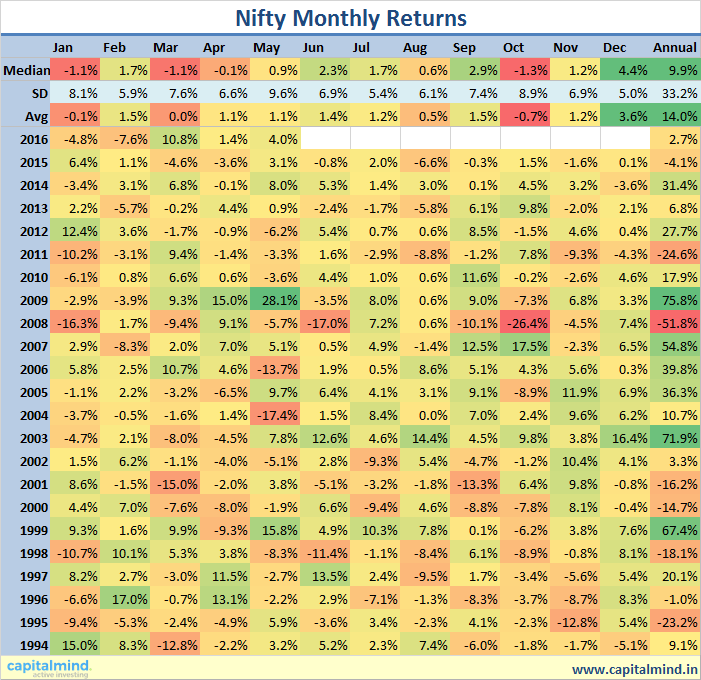 The Nifty returns in May have been 4.0% which has taken the annual returns into positive territory, at 2.7% for 2016. This is largely due to huge investments by domestic institutions and retail – not by foreign investors. 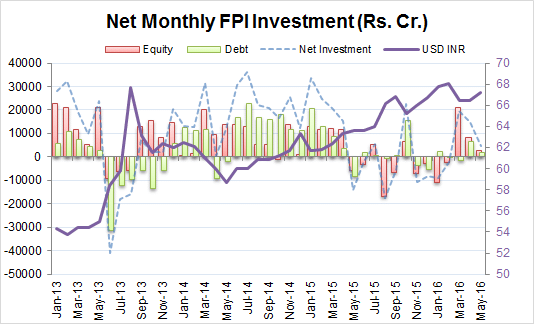 FPIs (foreign portfolio investors) bought only Rs. 2500 cr. 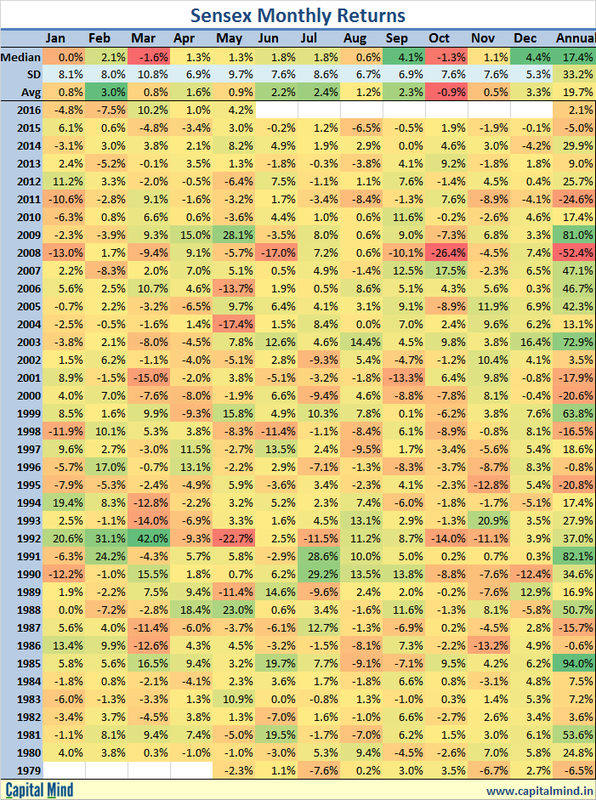 in equity for the month, and about Rs. 2000 cr. in debt. Mutual funds bought over Rs. 6000 cr. in the month of May.